As with any catalog, on its pages you'll find information about our newest products. 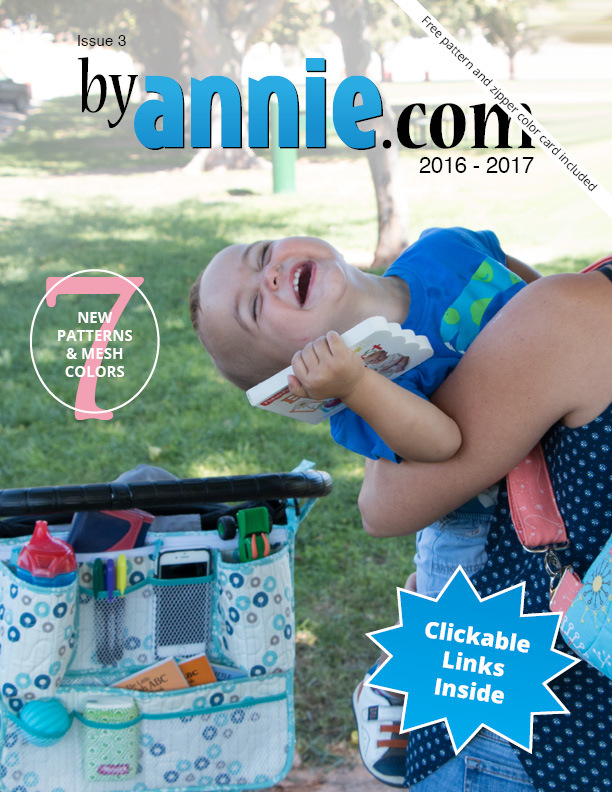 These include seven new patterns for everything from car organization to baby changers and seven stunning colors of lightweight mesh with new matching fold-over elastic. But more than just putting together a catalog, we are trying to do something special. 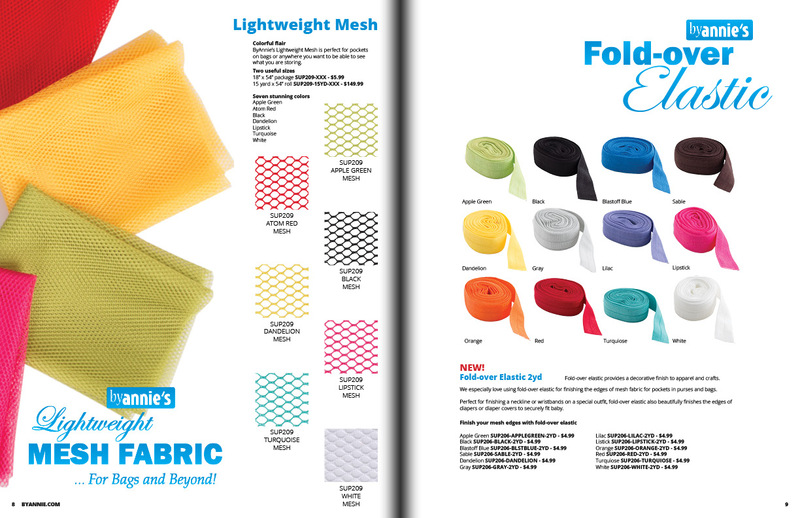 Therefore, on all the pages for the newest patterns we feature the fabric lines that we used to make our beautiful models. We have done this as a special thank you to all of the amazing designers and fabric companies who have shared their latest works with us. We couldn't produce these eye-catching models without the designers and fabric companies — they inspire and delight us every day! 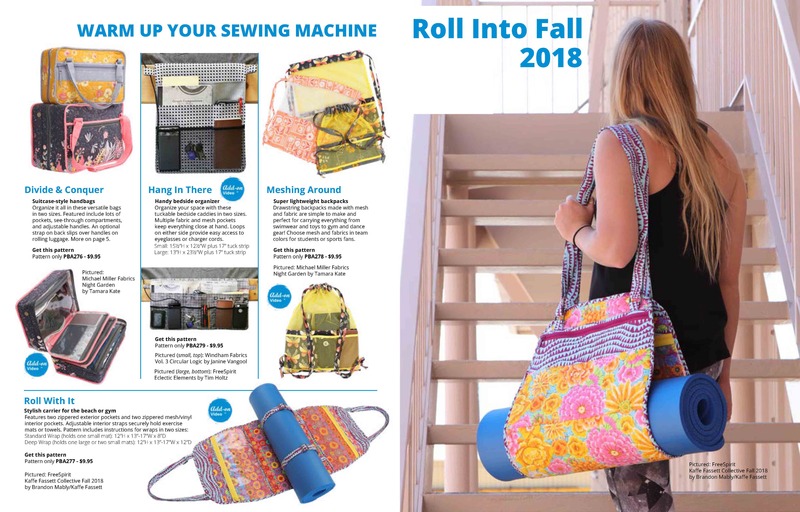 We hope this catalog inspires you to try these beautiful fabric lines and to sew something new. Remember to check with your local quilt shop for fabrics, patterns, and supplies. Your support keeps them in business and helps us all continue to provide new and exciting products to you. 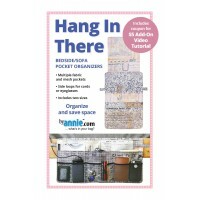 Click here to view and download the PDF now! We have also included a color card for our ever popular handbag zippers to help you accurately match your fabrics and, best of all, we have even included a free pattern! 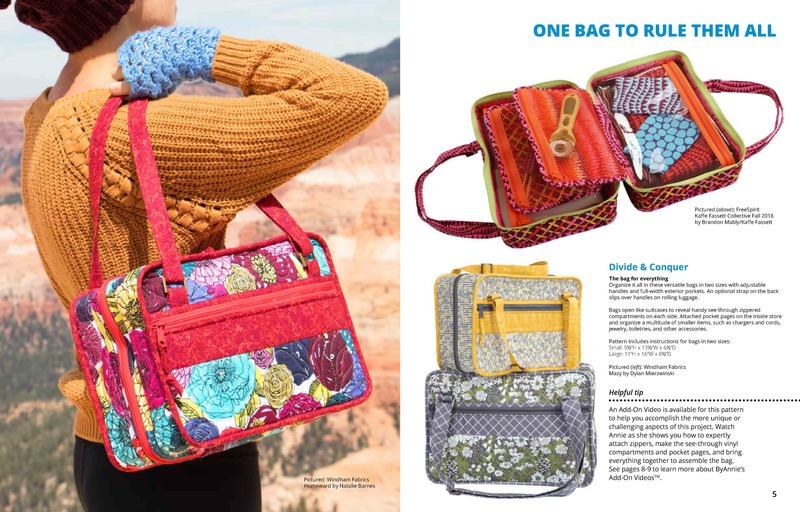 I truly hope you enjoy perusing the catalog, making the free pattern, and finding new ways to mix and match color. 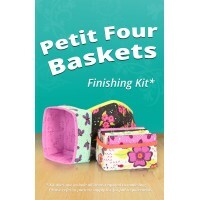 Be sure to visit our website for patterns and supplies as well as tutorials and more. We also look forward to seeing you at our future shows and/or classes. Please let us know what you think of our latest creations! PS. Please note that we are a PATTERN company. 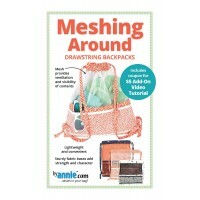 The images shown are models made using our patterns; the finished bags are NOT for sale. We're happy to provide you with the patterns and supplies needed to make any of the items pictured, but YOU get the fun of making it! If you need help, be sure to check out our online videos and classes. We are excited to share our Fall 2018 catalog with you. On the following pages you'll find information about our newest and best products. 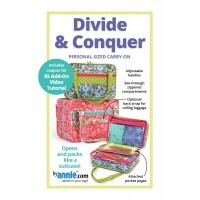 This includes four new patterns and a total of fourteen patterns with Add-on Videos! 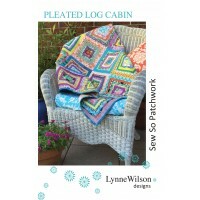 You'll love having help with everything from the small Clam Up pattern to the massive Ruler Wrap pattern and twelve more projects in between. Don't miss the Monthly Photo Contest section in the middle of the catalog. It is such a treat for us to be able to share these amazing projects with you from so many talented makers. We are inspired by seeing photos from you, our amazing customers. Please be sure to enter your photos in the contest, too. Be sure to check the end of the catalog for some helpful content. 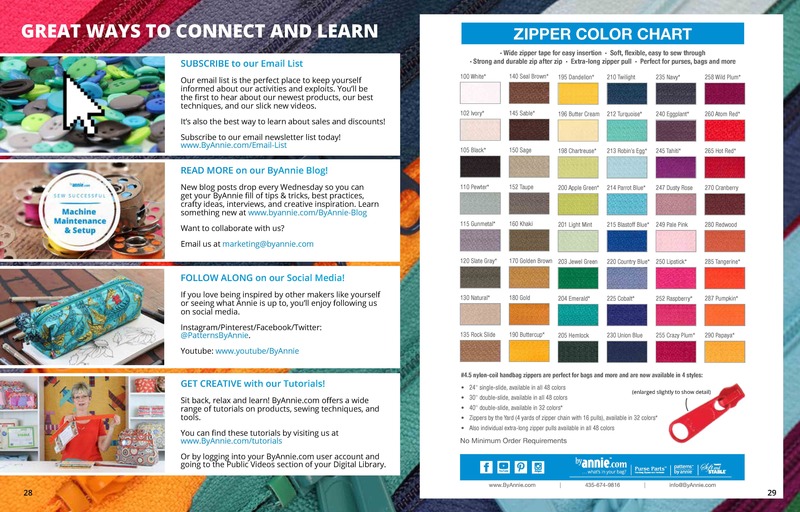 You will find our Handbag Zipper Color Chart to assist you with choosing zippers to match your fabrics, along with information about how to access our online video and blog content. 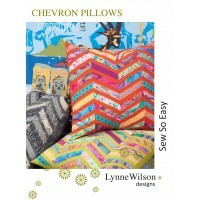 And, we've included a fun, easy, free pattern! 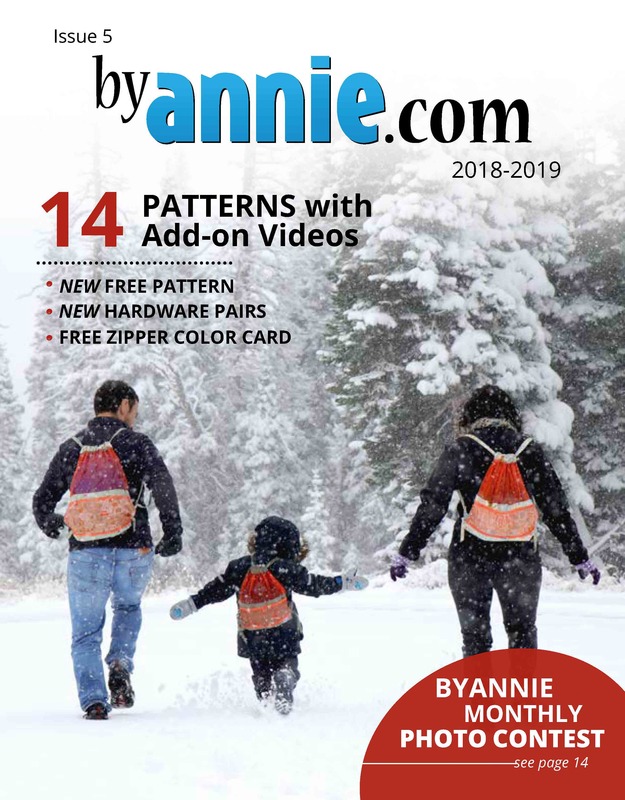 With this catalog, we again send a special 'thank you' to the amazing designers and fabric companies who share their latest work with us and give us the opportunity to play with their beautiful fabrics. We couldn't produce these eye-catching models without them. To help promote them, we have included information about the fabrics we used to make the pieces pictured. If you love something, please check the fine print near the image to learn more. 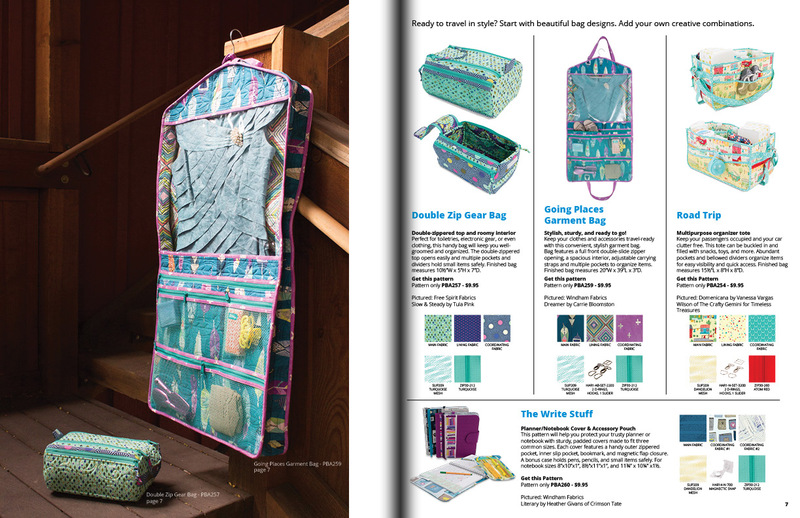 We hope this catalog inspires you to try a new project, experiment with color, and sew with some innovative designs. Remember to check with your local quilt shop for fabrics, patterns, and supplies. Your support keeps them in business and helps us all continue to provide new and exciting products for you. 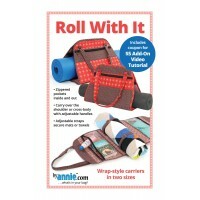 Don't forget to visit us online at ByAnnie.com and our social media accounts. Check back regularly to learn about upcoming shows and classes, too. We love hearing from you and seeing your creations. PS. 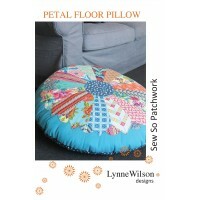 Please note that we are a PATTERN company. 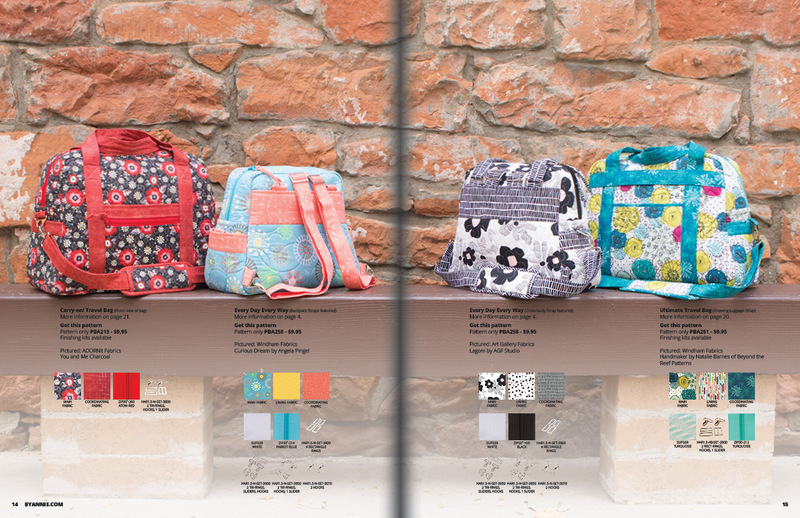 The images shown are models made using our patterns; the finished bags are NOT for sale. We're happy to provide you with the patterns and supplies needed to make any of the items pictured, but YOU get the fun of making it! If you need help, be sure to check out our online videos, classes and Add-On Videos.